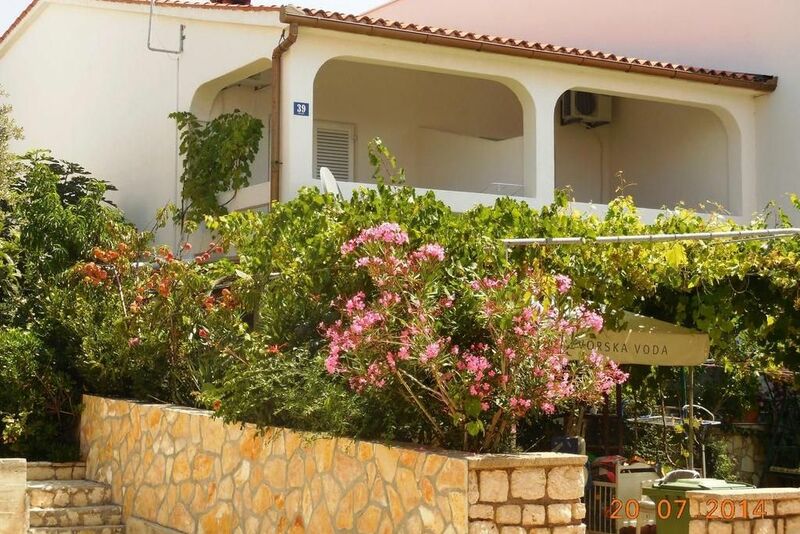 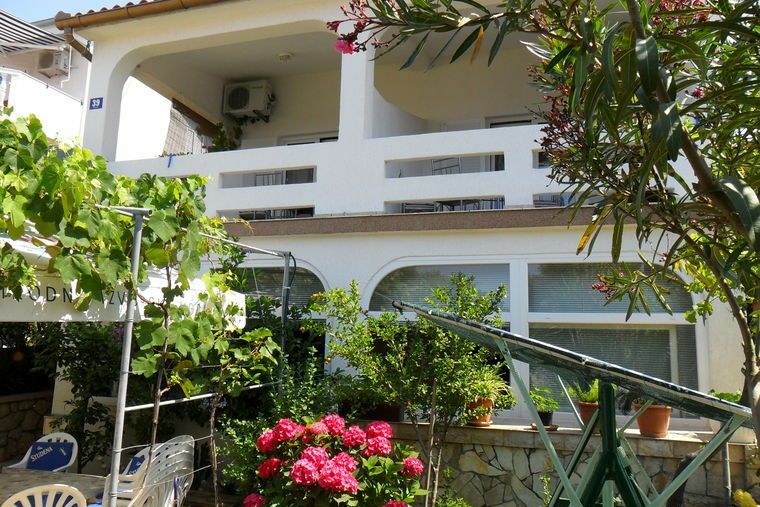 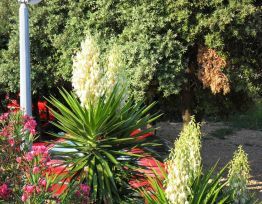 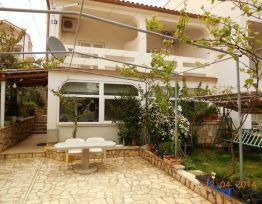 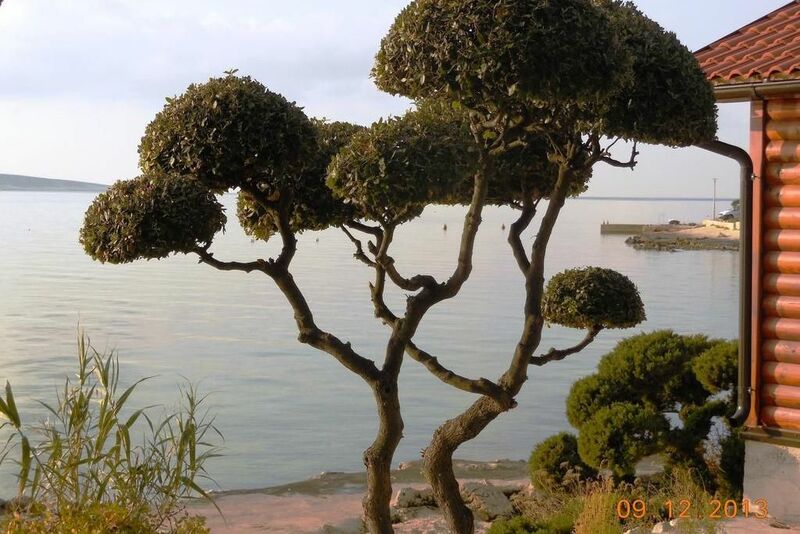 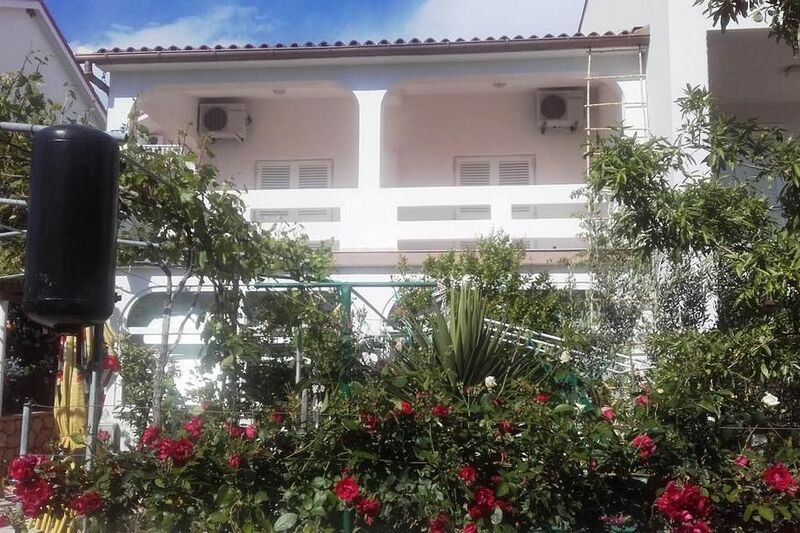 Apartments "DVORSKI“ are located in a pictoresque tourist and fishing village Mandre, in a quiet street surrounded by the scent of Mediterranean herbs.The holiday house consists of 4 new apartments for 18 people in total. 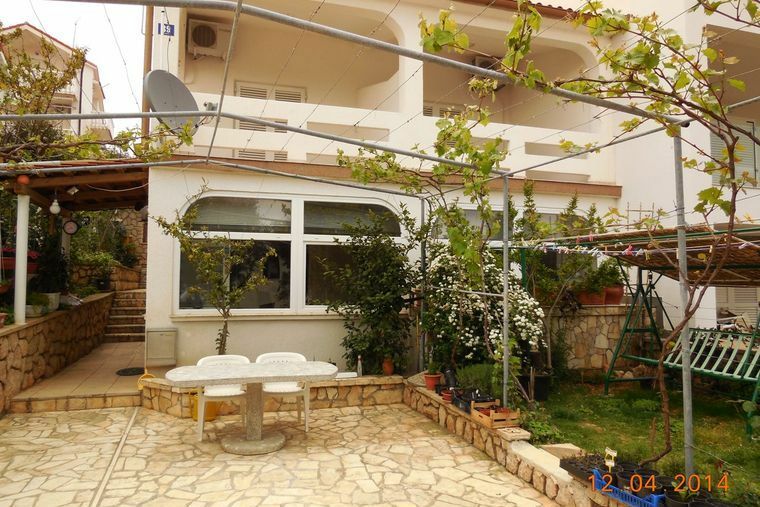 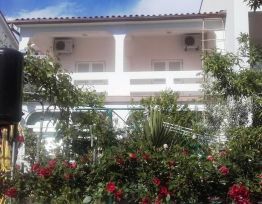 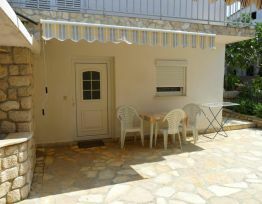 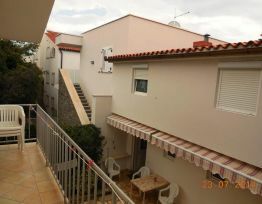 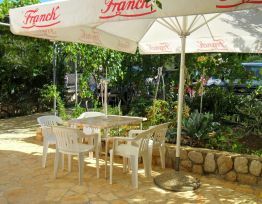 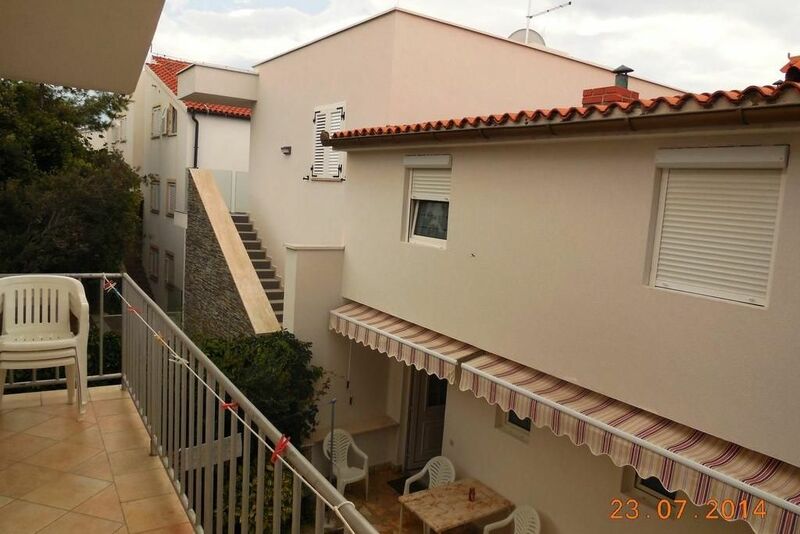 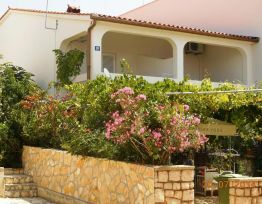 Apartments are fully equipped with the following devices and facilities: air conditioning, Internet access, satellite TV, coffee machine, microwave oven, fridge, dishes, bedclothes and drinking water.The guests can use a common washing machine / laundry. 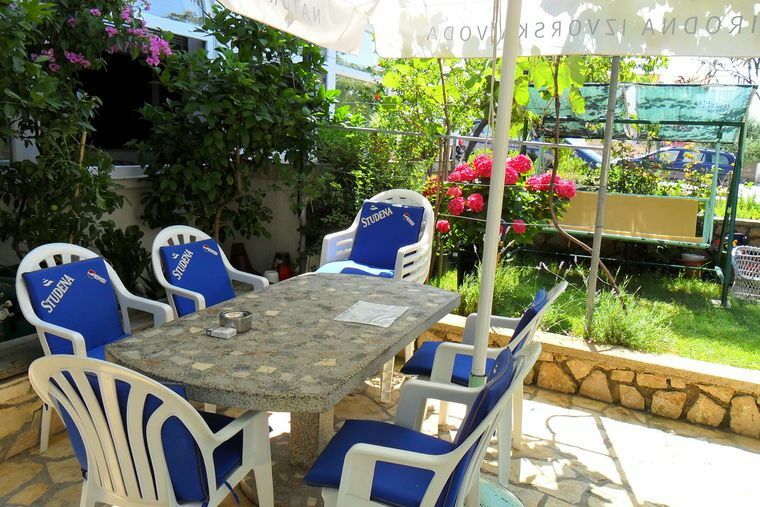 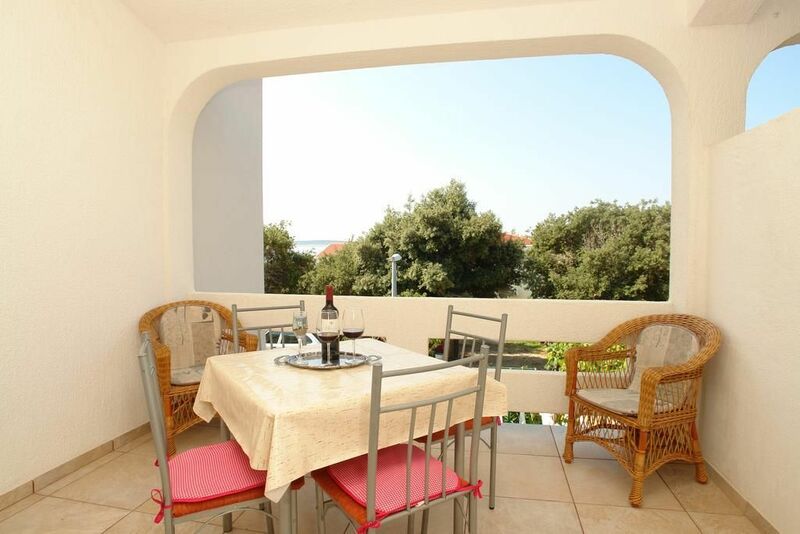 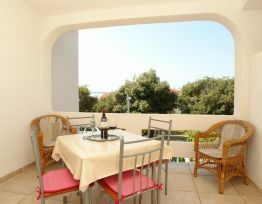 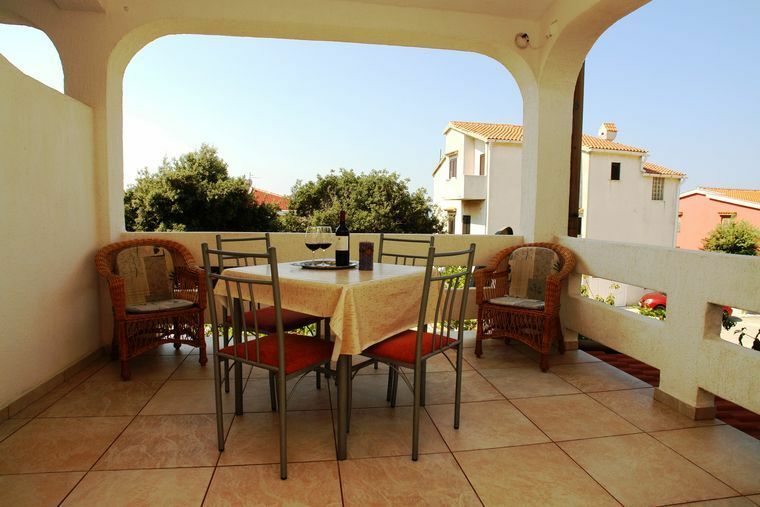 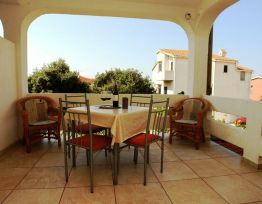 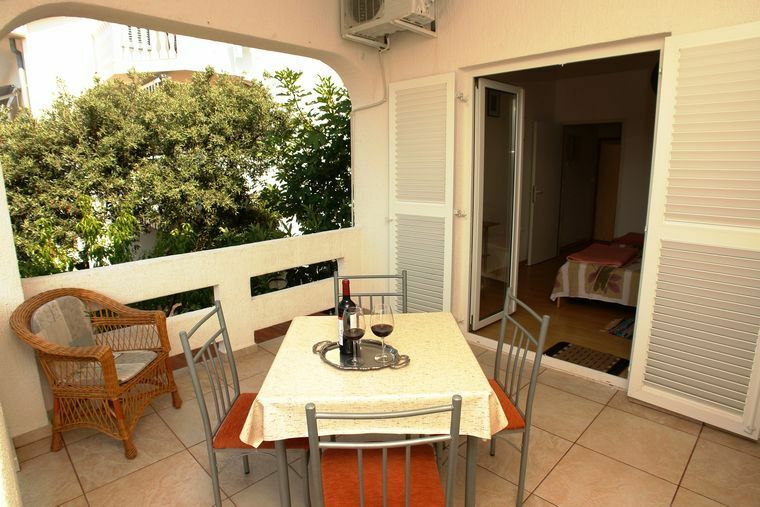 All apartments have terraces with a beautiful sea view.At a joint terrace in front of all apartments there is a grill available to all of our guests. 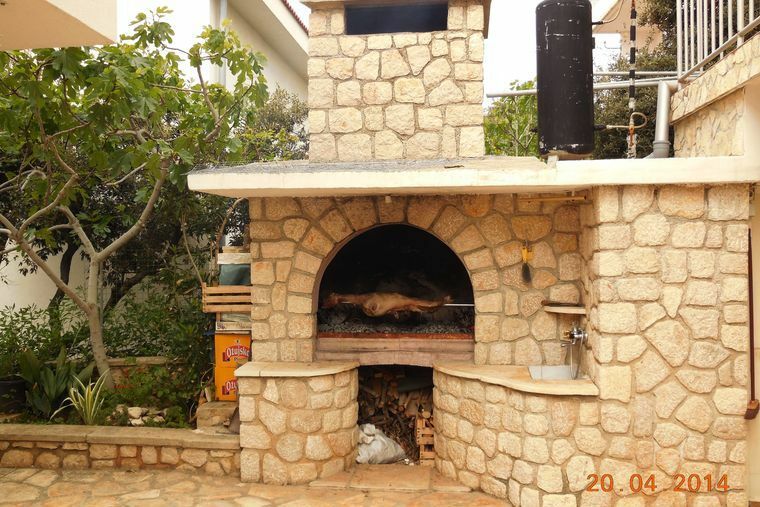 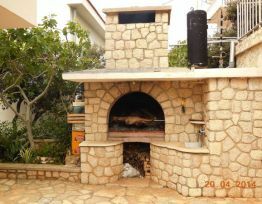 The grill is built of authentic stone typical for the local architecture on the island of Pag. 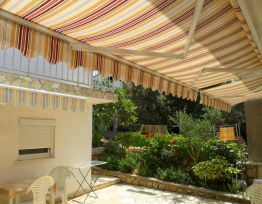 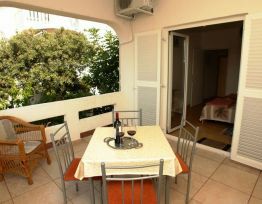 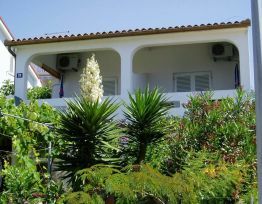 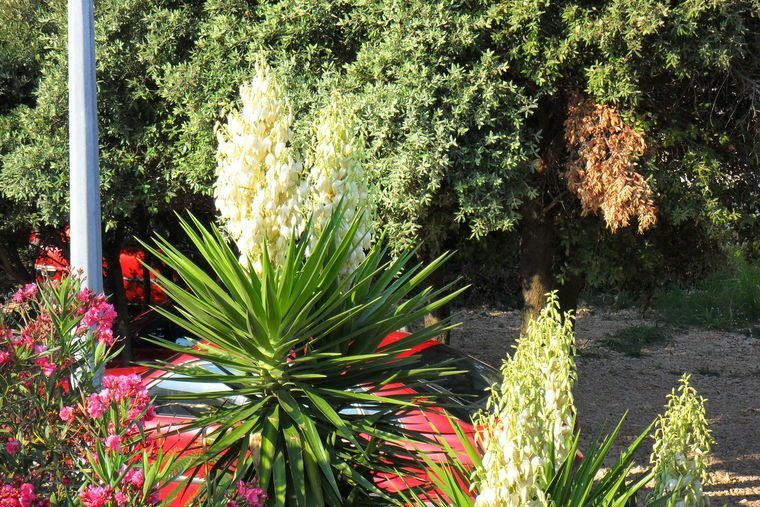 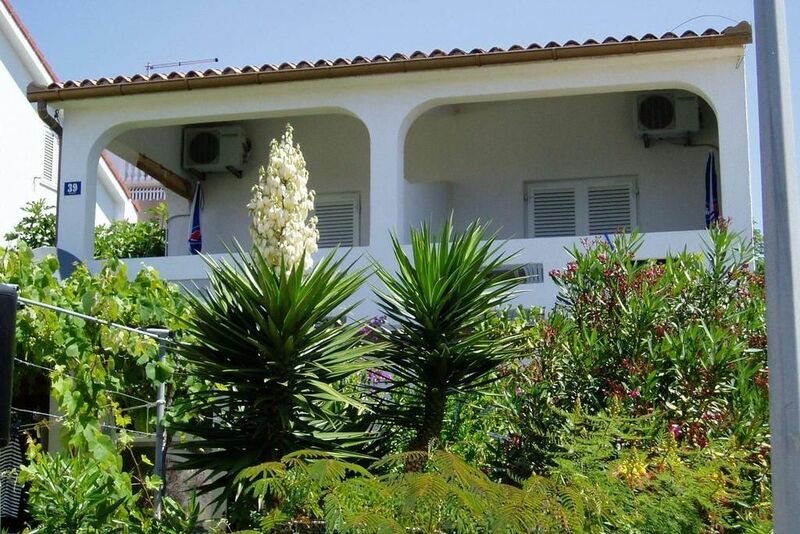 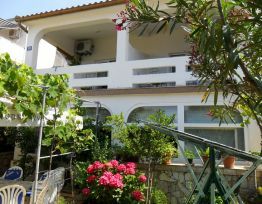 The house is surrounded with flowers and Mediterranean herbs.Each apartment is allocated with a shaded parking space. 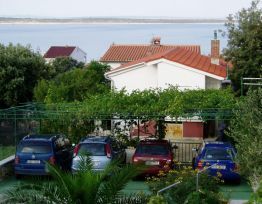 The owners will make their best effort and offer premium hospitality to make your stay enjoyable.You can always ask the owners to rent a boat for you in order to visit uninhabited islands Maun and Škrda, popular for their sandy bays.We also offer rent-a-bike service as the village and its surroundings are rich with all kinds of exciting bike routes.Tennis courts onyl 3-5 km away from your apartment. 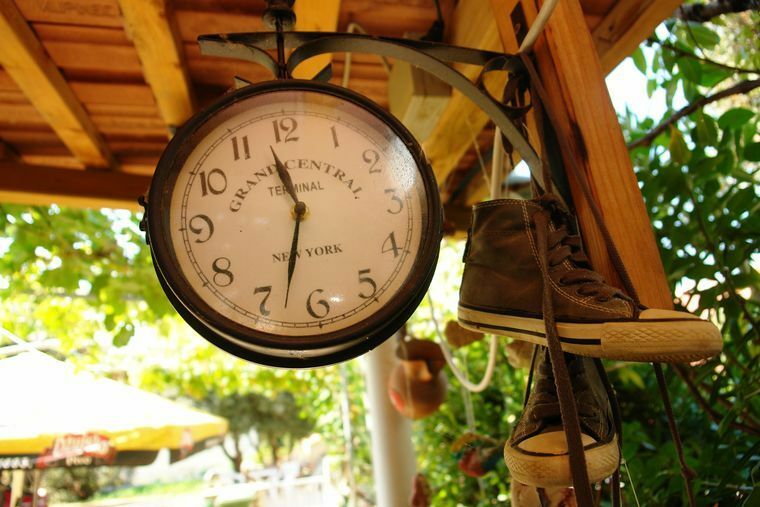 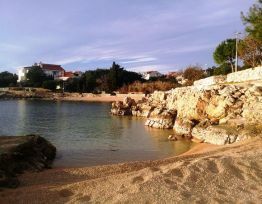 You can spend evenings walking along the sea (7 km).The village is ideal for family vacations, and for those who like to party there is the best place in Croatia, only 10 km away, famous beach ZRĆE, with lots of lounge bars and clubs, ski lift, bungee jumping, and other facilityes.Clear sea and beaches in Mandre will suit any guest. 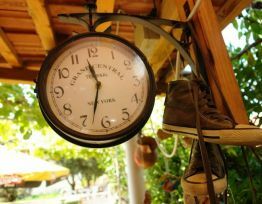 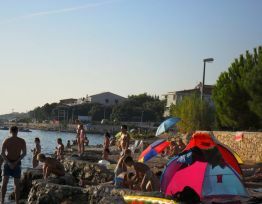 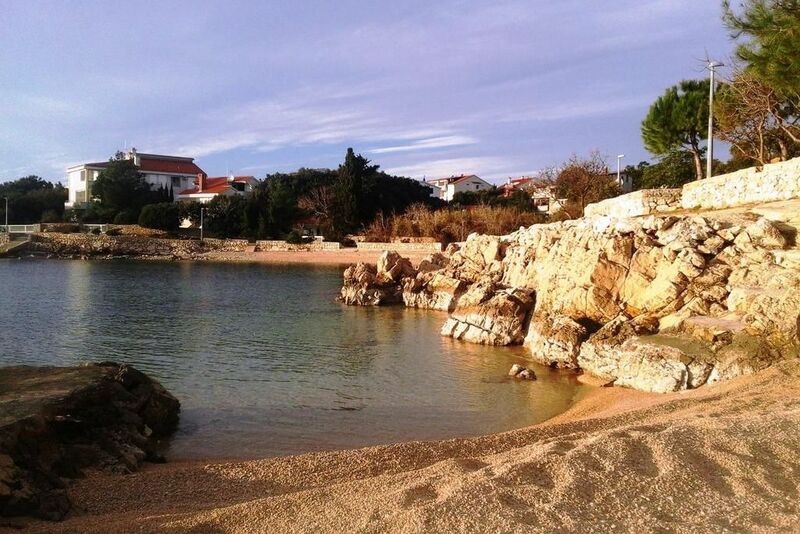 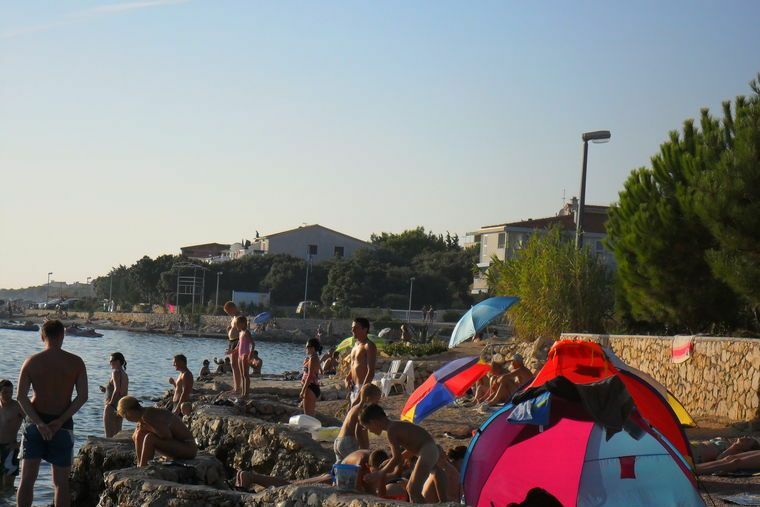 Within 5km you can find sandy beaches Sv.Duh, Čista, Prnjica, Šimuni and some other nice places to swim and enjoy the sun. 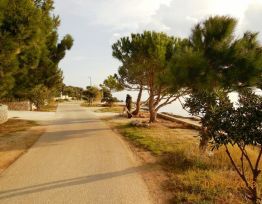 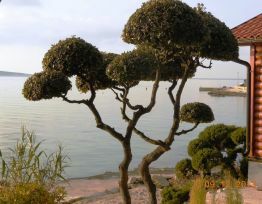 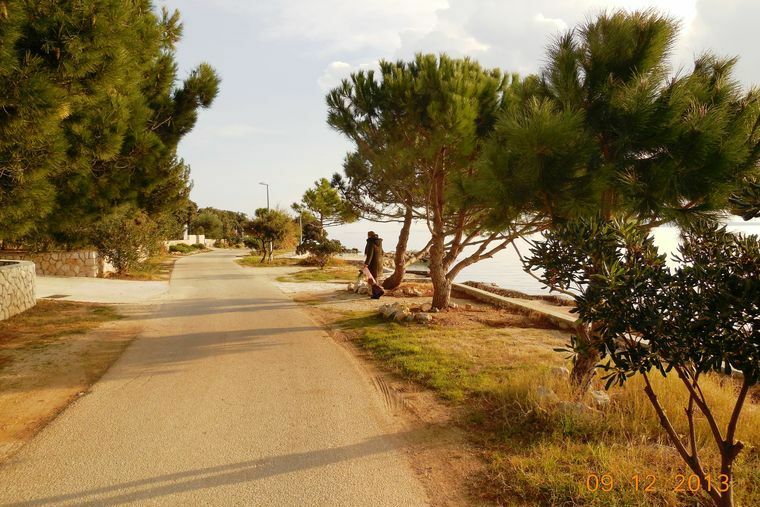 Mandre are located near Kolan Mud – an interesting Ornithological reserve with 163 different bird species and nearby small willage Kolan, well known for its Pag cheese, prosciutto, sage honey and authentic wines. 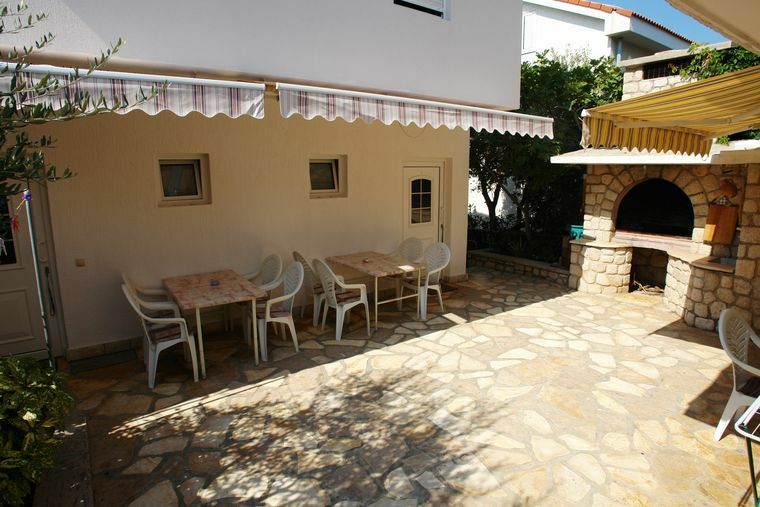 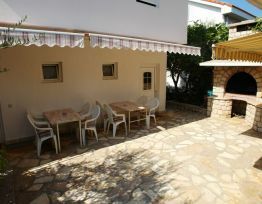 Delicacies from Kolan can also be tasted in restaurants and taverns in Mandre. 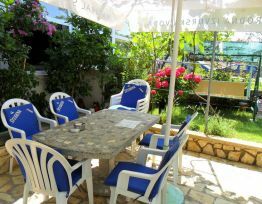 Your hosts are wishing you a pleasant and memorable vacation at our holiday house. 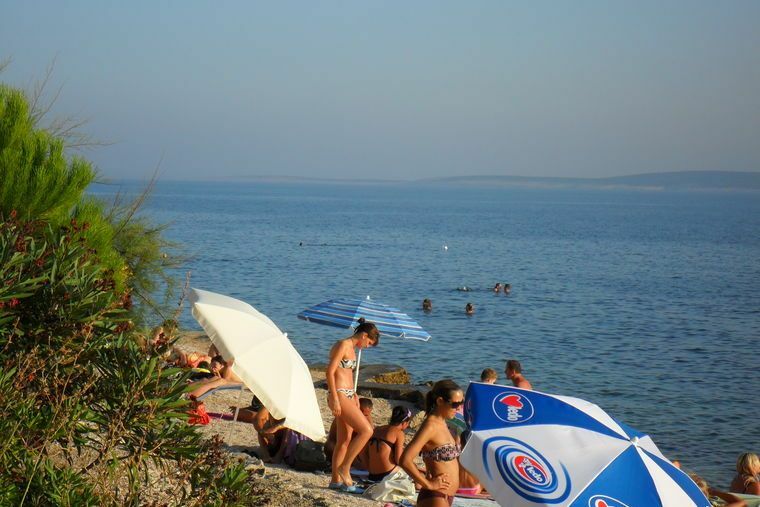 On the southern side of the island of Pag, 4 km from ACI marina Šimuni and about 10 km from the famous beach Zrće is a tourist town of Mandre. 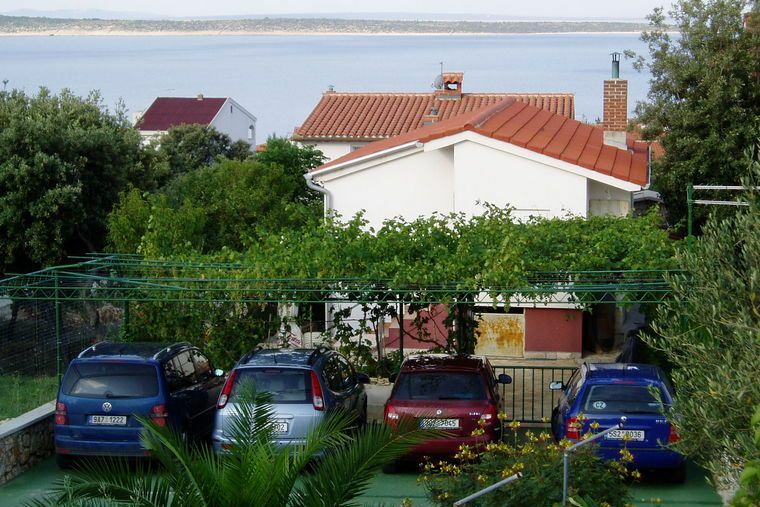 A beautiful view of Silba and Olib and of smaller nearby islands of Maun and Škrda, clear sea and clean beaches irresistibly attract visitors looking for a quiet holiday in a natural environment. 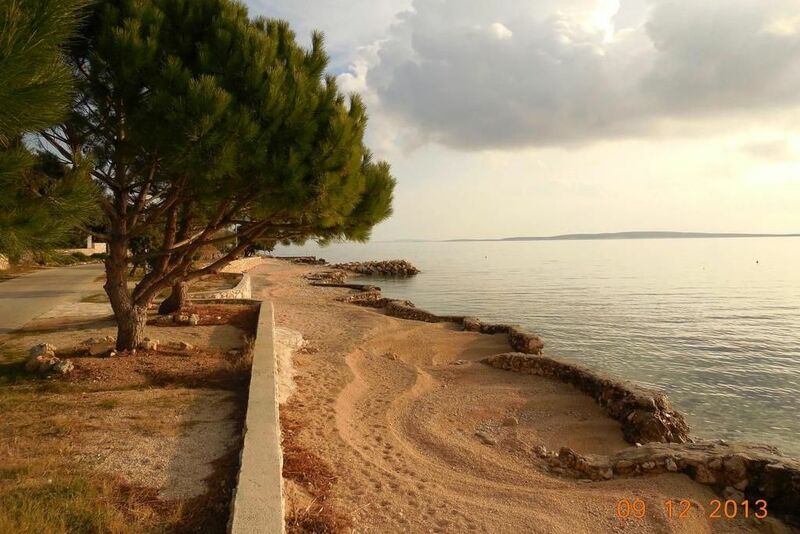 The white tower of the church of Our Lady of the Snows dominates the landscape, and a special charm to the landscape of the town comes from Porat - a small harbor that provides protection from the storms, surrounded by pine trees and diverse Mediterranean vegetation. 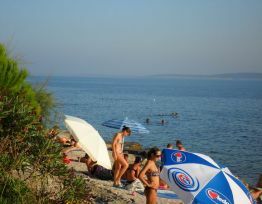 In a small bay in the center of Mandre, protected from motor boats and jet skis, is the beach Mala Mandra - that has been holding the Blue Flag for its clear sea since 2006. 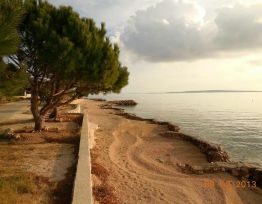 This unique beach of rock and gravel, due to the excellent access to the sea, is particularly suitable for children and the disabled. 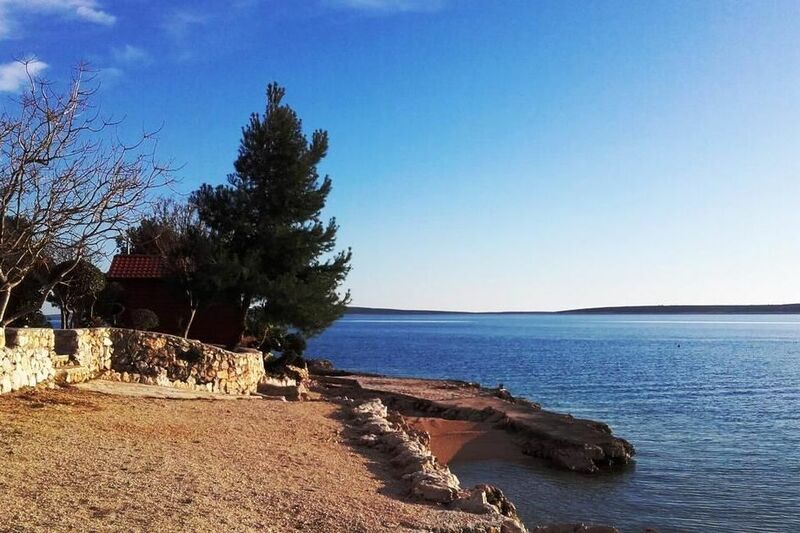 In addition to Mala Mandra, you'll enjoy even more than 3 km of sprawling beaches and coves, while a small boat or motor boat will help you find your ideal place to bathe on the nearby uninhabited islands of Maun and Škrda. 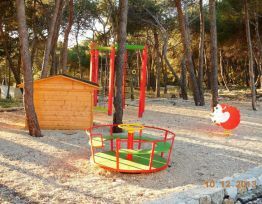 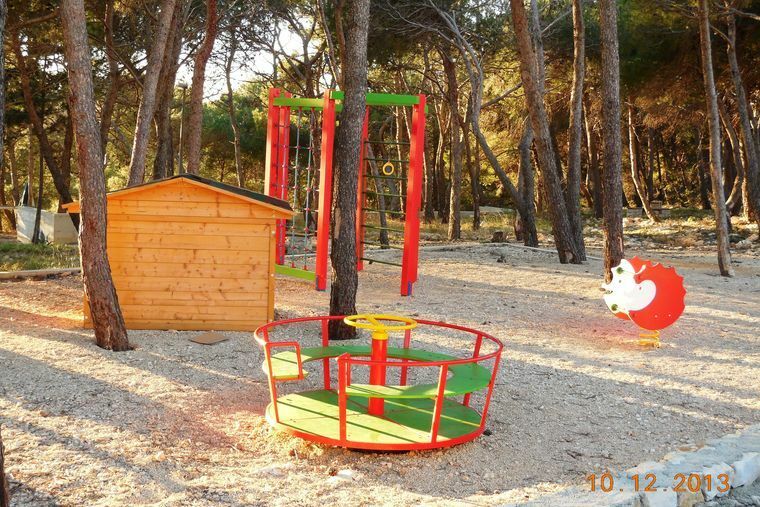 The playgrounds in the tourist village Mandrice allow you to pursue sports activities, and the little ones will be delighted with a small beach full of various entertainment for children. 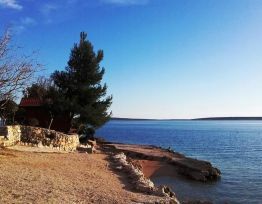 You can enjoy in the discovery of the beauty of untouched nature by choosing one of the organized day trips to the nearby islands (Silba, Olib) and National parks (Kornati, Plitvice Lakes), and you can also explore the immediate surroundings on your own by renting a small boat (rent-a-boat). 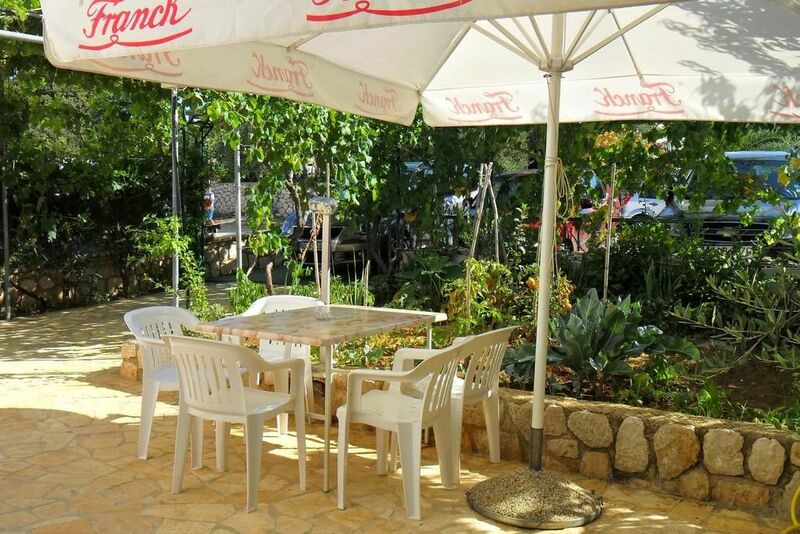 The restaurants and cafés on the waterfront, frequent themed events such as fishermen fiestas, and the hospitality of the hosts will make your family vacation in Mandre relaxing and romantic.